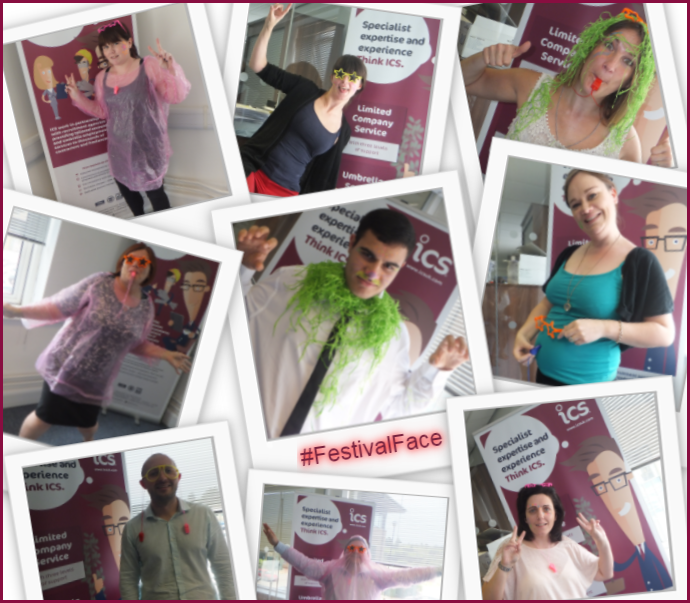 ICS Team Makes Festival Faces! 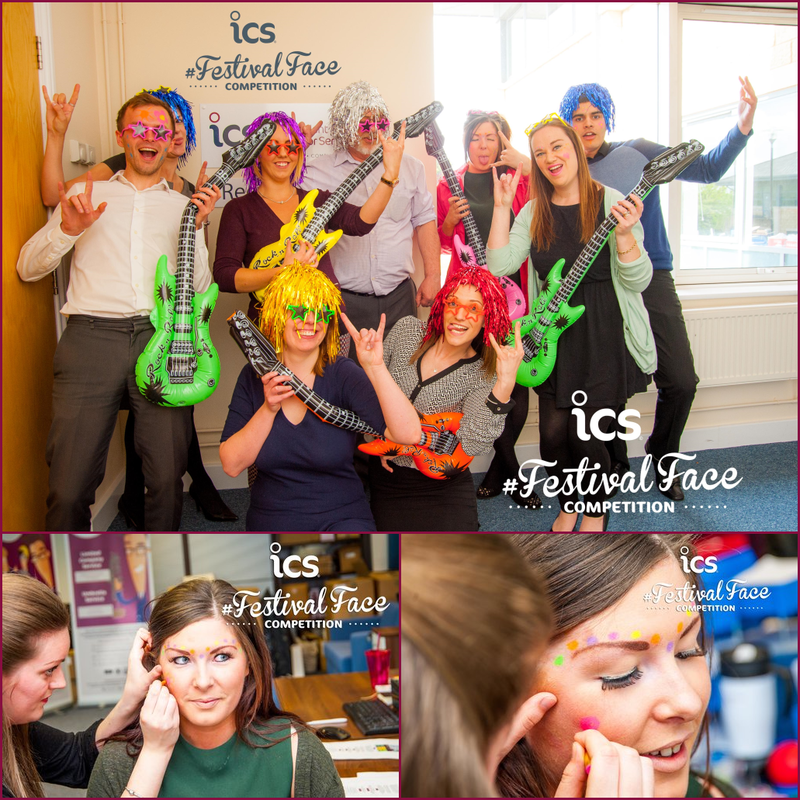 As part of a competition we’re currently running for our recruitment agencies and contractors, we’re giving them the chance to win V Festival tickets if they use facepaint and props to create a Festival Face, take a selfie and then tweet the photo to @icscontractor using #FestivalFace! If you don’t have Twitter, you can email your Festival Faces to webenquiry@icsuk.com. Want to join in with #FestivalFace but not got a Festival Face pack? Click here to email us, telling us your name and address and we’ll get one sent out asap! We also couldn’t resist taking our own Festival Faces too, so here’s our #FestivalFaces!